Wholesale Pricing Give Us A Call! 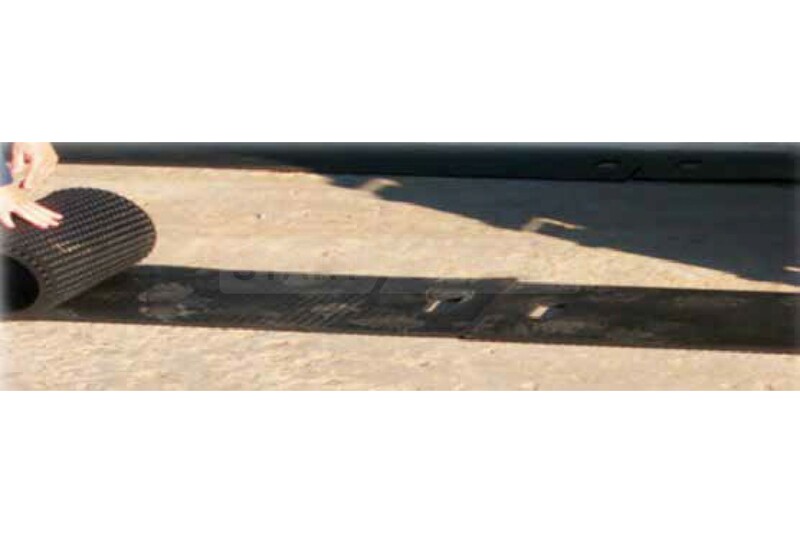 The Dozer Mat from Checkers is designed to prevent damage to concrete and asphalt surfaces caused by steel tracked vehicles, such as dozers, excavators, and military equipment. As well as protecting surfaces from scuff marks and visible damage the mats can also be used to improve the traction of vehicles when in transit, preventing slipping or sliding. The Dozer Mat system has many advantages, the primary benefit being that it is very easy to transport as it can be rolled up and stored away making it ideal for equipment transport, and delivery crews. It includes had cutouts making the mats easy to line up and position ready for use. 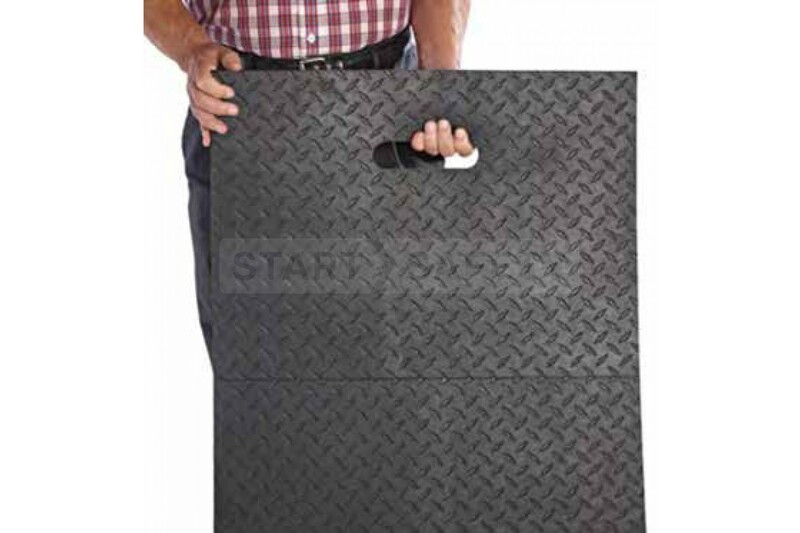 Weighing in at only 56lbs a single worker can easily maneuver the mats into position. 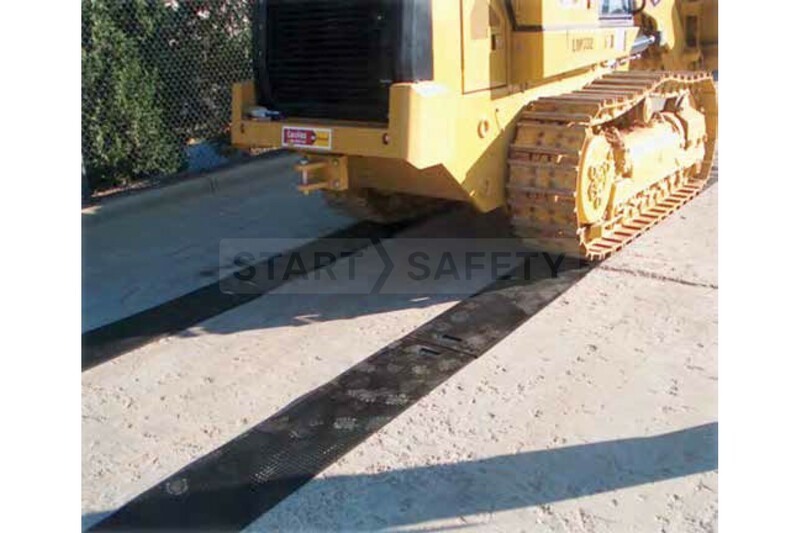 The Dozer Mat is environmentally friendly and made from recycled rubber. If you have any questions about these great tracked vehicle traction mats, then give us a call at (800) 671-9662. Our Trained sales staff will ensure that you get the right product for your needs. Width DM1896 18" | DM2496 24"